We take great pride in your smile and will always make sure to give you the very best value for your time here at Bradshaw Family Dental. We understand how hard it can be to have a bite that doesn’t fit together correctly, or teeth that aren’t straight. When anyone faces the prospect of corrective orthodontics the first thing they often think of is the embarrassment of braces. No one wants a smile that’s full of metal! 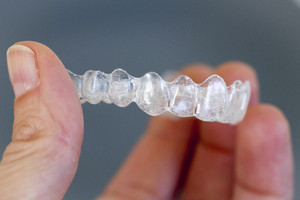 That’s why we offer a tooth alignment option that forgoes the braces in favor of invisible plastic trays. All of our teeth alignment options offer you a superior alternative to braces. These alignment systems can be applied to children and adults alike. Trust Bradshaw Family Dental to be your family dentist. Tooth alignment issues can be complex, which is why you should choose us at Bradshaw Family Dental to help give you the smile you’ve always wanted. We are well trained in the art of tooth alignment and are always excited to help you make your dream smile a reality.